Kavya Rao, an eight-year-old student of Our Own English High School died in a road accident near Mega Mall in Sharjah on Friday evening. She was crossing the road near the mall with her mother, younger brother and other family friends, when she was hit by a taxi and died on the spot. “The girl was with her mother and younger brother for shopping in Mega Mall for their vacation. They went to play at the Children’s Play area in Mega Mall and since the play area was closed till 7.30pm, they were going back to their house to return later. “She was about to cross the road when a taxi coming from the fast lane hit the girl and killed her on the spot,” according to Samuel Jose, neighbour of the bereaved family. 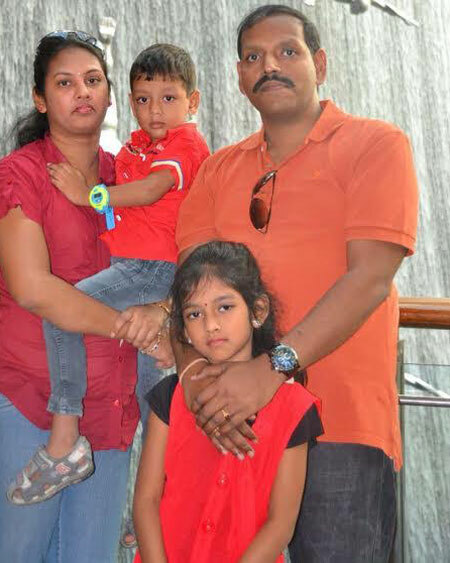 The Asian taxi driver is in Sharjah Police custody and the family is preparing to repatriate her body to India. “We are expecting a paper from the court. We are all saddened about this tragedy. She was a very smart girl”, said Jose. Our Own English School Sharjah is also mourning the Grade 4 student.